Road racing is in many ways the best understood form of cycle racing: a bunch of riders start together, and the winner is the first to cross the line! Of course things are a little more involved than that, with tactics playing an important part, but it is what most of the general public understand by ‘bike racing’. Unsurprisingly, road bikes! More specifically, these are your lightweight bikes with narrow tyres and drop handlebars, of the kind colloquially known as ‘racing bikes’. There’s a huge variety out there, with up to 22 relatively close ratio gears. Where does road racing take place? Road races can be held on the open road, with varying degrees of road closures, or on closed circuits. 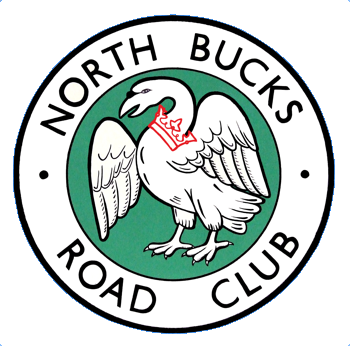 Locally, the North Bucks Road Club organises an event annually on a course near Towcester and in 2016 will organise the NBRC Festival of Cycling based closer to Milton Keynes. NBRC members ride in the weekly events at the MK Bowl (and help out with the marshalling). How do I have a go at road racing? You’ll need a racing licence to take part in British Cycling, and it makes it easier to be a member of a BC-affiliated club. There’s a points system that leads upwards through categories of abilities. Find an race using the BC event search page. Veterans keen to race with the League of Veteran Racing Cyclists should join for a simple entry system to their events. For veteran racing cyclists, there is the League of Veteran Racing Cyclists, which maintains a calendar of events around the country.